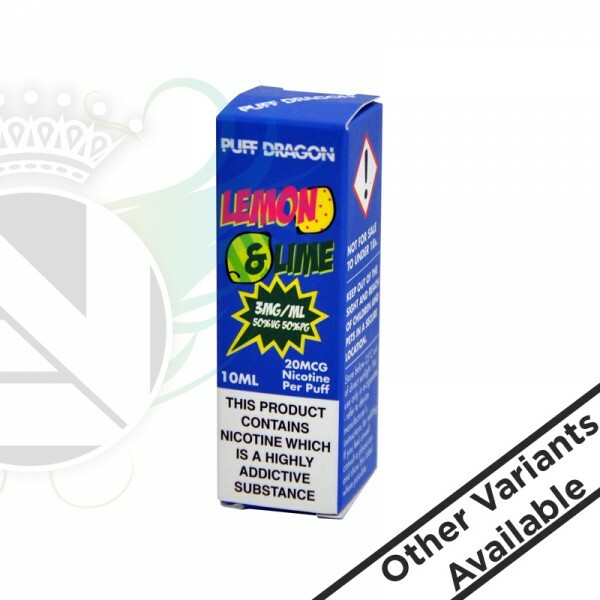 A Lemon and Lime flavoured e-liquid that is sure to leave you feeling refreshed and satisfied. Sit back Relax grab your vape and enjoy the gentle blends of the zingy citrus fruits. This juice is part of the 3 for 10 range you can mix and match any of the puff dragon juices with any of the Evolution eliquids.